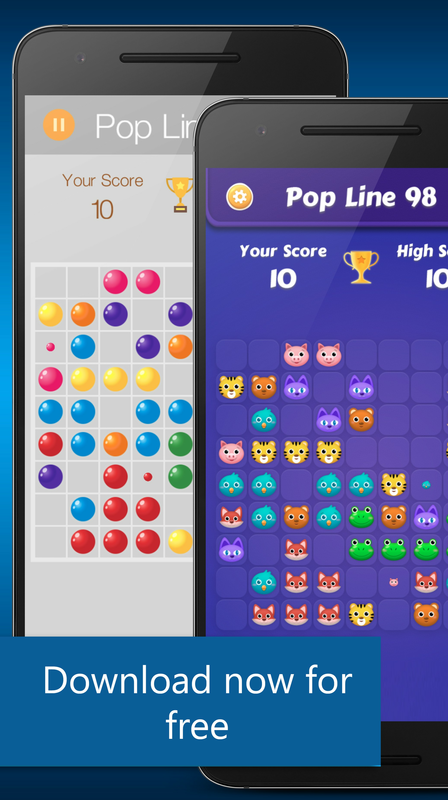 [LINES98 POP PUZZLE] have converted the color lines game on smart phone version. Color Lines (aka Lines) is a computer puzzle game, invented by Oleg Demin and first introduced as a video game by the Russian company Gamos (Russian: Геймос) in 1992. 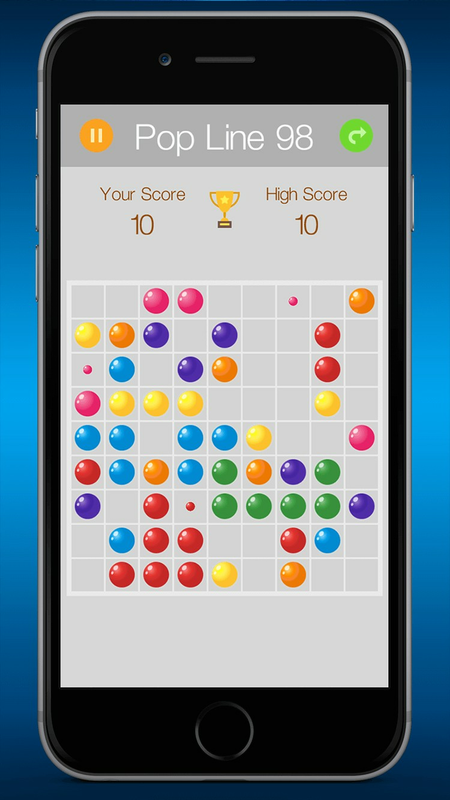 The game starts with a 9×9 board with three balls chosen out of seven different colours. The player can move one ball per turn, and the player may only move a ball to a particular place if there is a path (linked set of vertical and horizontal empty cells) between the current position of the ball and the desired destination. 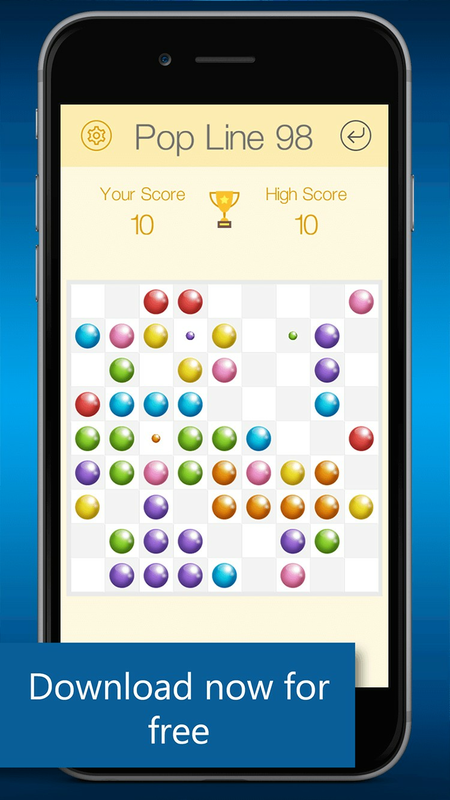 If the player does form such lines of at least five balls of the same color, the balls in those lines disappear, and he gains one turn, i.e. he can move another ball. 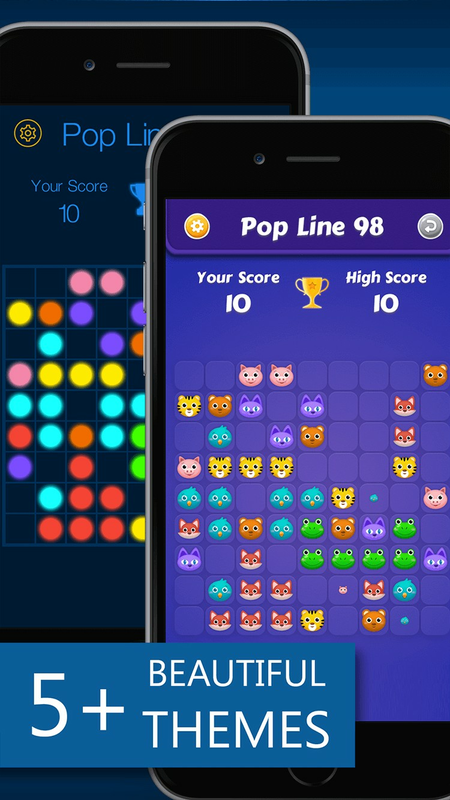 • Great classic puzzle game. • Amazing graphics and sound. • Many beauty themes for choice. • Simple and Easy to play. • Funny combo score to get.